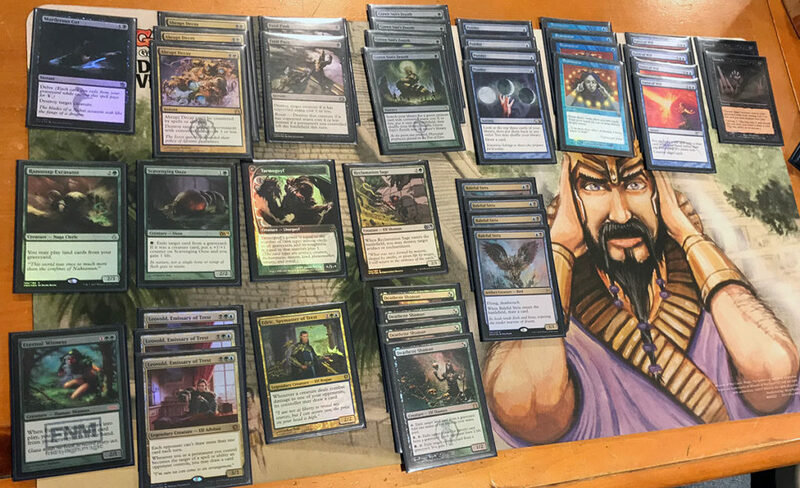 I recently had the opportunity to talk deck construction with deck-brewer and eternal enthusiast Joe Brennan. Joe has a bunch of impressive tournament finishes including multiple top-8’s, top-16’s, and finishing second in the 2016 Vintage World Championship. 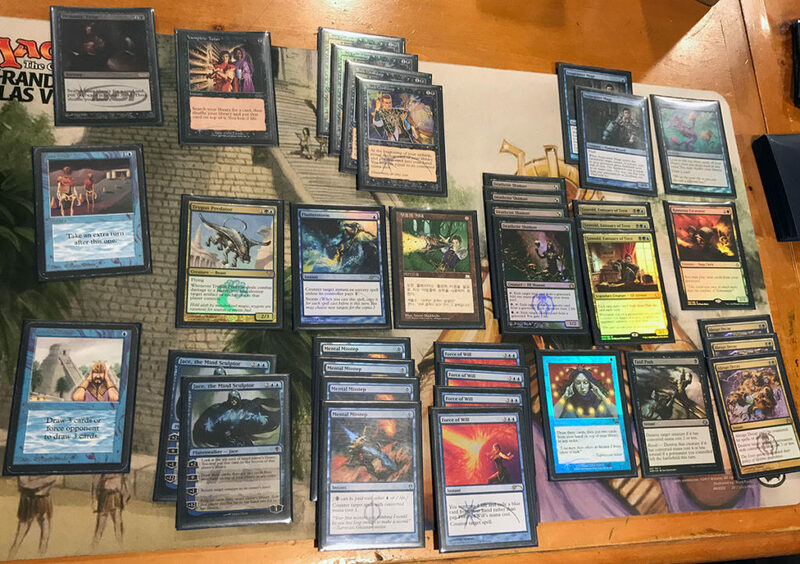 Most recently Joe gave everyone at Eternal Extravaganza Seven a run for their money piloting two decks he developed into top 16 and top 8 in Legacy and Vintage respectively. Joe Brennan: “My teammate Dan Miller was playing BUG Nic Fit, and I didn’t like the Veteran Explorer plan too much, but I really liked the idea of a Green Sun’s Zenith package in the current metagame. Leovold, Emissary of Trest is such a powerful card, and Deathrite Shaman is probably the best creature in Legacy. Being able to have a tutorable way to get these cards out seemed fantastic. Green Sun’s Zenith also opens gives the deck the ability to function like a tool-box which is really nice. It gives you access to situationally beneficial cards like Reclamation Sage. Running one copy of a card gives you essentially five copies when paired with Green Sun’s Zenith, and that provides a lot of consistency. Joe: “The blue cards like Leovold, Force of Will, Brainstorm and Ponder provide a lot more consistency and interaction on the stack. The cantrips help you smooth our your draw, something a lot of Nic Fit decks can’t do, which really makes the engine purr. Joe: “Courser of Kruphix was the hardest card to cut from the list. The card is great against Delver decks and with Tarmogoyf since it’s an enchantment. Courser turned all my Brainstorms and Ponders into “Draw-Two’s,” because you could play a Ponder and put a land back as the second card and play it from Courser’s ability. Courser helped ensure that you could hit all your land drops against a Delver deck, and the incremental life gain helped. The toughness is excellent too because it could block just about anything on the ground. Joe: “Originally the deck didn’t have any Wastelands in it, but then I put in Ramunap Excavator, and I decided to fit some Wastelands in there. Before that, I had one Cavern of Souls, because most of the creatures were elves. That version also played Glissa, the Traitor along with two copies of Executioner’s Capsule and one Engineered Explosives instead of Fatal Push. The problem I found wasn’t as much speed (you would figure Capsule is a bit slower), as much as you couldn’t kill a Deathrite Shaman with an Executioner’s Capsule. So I decided to cut the Glissa package and add a couple of Fatal Pushss along with Ramunap Excavator and Wastelands. The Ramunap Excavator plan is really good against R/G Lands because Punishing Fire can’t kill it and you can keep looping your Wastelands. There was also a Tireless Tracker in there at one point. That’s the card I really wish there was room for in the deck. If I were to put it in, I’d replace Tarmogoyf with it, but I don’t like leaving Scavenging Ooze in there as the single Green Sun’s Zenith two-drop. Joe: “Far // Away in the sideboard was an upgrade over Diabolic Edict. You can pitch it to Force of Will, and it’s much better against Dark Depths decks. One of the problems you run into against Dark Depths decks is that if you have an edict, they can often have another creature out like a second Vampire Hexmage. With Far // Away you can bounce the Marit Lage token and make them sacrifice the other creature. It’s also much better in grindy matches like True-Name Nemesis decks. Sometimes you can bounce your Eternal Witness or a Baleful Strix and make them sacrifice their True-Name Nemesis which helps you on card-advantage — something you want in a grindy game. It also helps you deal with Mirran Crusader which is very hard for BUG decks. Joe: “The deck is very good against Delver and Lands. It’s also good against Eldrazi. A few weeks ago I ran into four different Eldrazi players in a tournament and didn’t drop a match. I’ve had a decent Death and Taxes match-up except when I’m playing against Michael Derczo – he’s got my number. That deck has a high ceiling for the player piloting it to be able to maximize their play skill, and he’s very good. Otherwise, I’ve had a favorable D&T match-up unless playing against him. 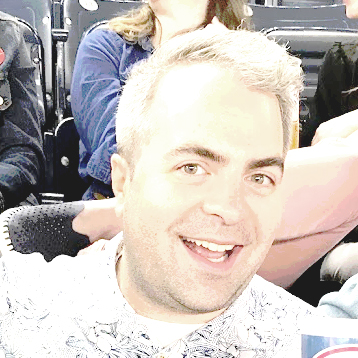 We always go to three games, and they are always close. Miracles is one of my bad match-ups. Terminus is real hard for the deck. One or two copies isn’t too bad, but if they’re able to hit me early with a Terminus and then run another one out after I start to rebuild it’s often too much. Joe: “Obviously every Vintage deck that’s not Dredge, and now even some Dredge decks too, will play Black Lotus. The deck only runs on-color Moxen (Mox Jet, Mox Sapphire, and Mox Emerald) because I have a couple copies of Null Rod in the 75. Joe: “I think Dark Confidant is the best draw engine you can be using in BUG right now. I’ve seen a lot of lists playing other spells in this slot like Preordain which I think is wrong. When you’re facing a Workshop-heavy metagame, being able to play your draw engine by turn two without needing to reinvest mana into it every turn is where you need to be. A Preordain deck will instead need to spend more and more mana every turn to run their draw engine which will cost you the game. Bob is also well protected against Shops because of Null Rod – especially post board. If they’re forced to use their Walking Ballista to kill your Dark Confidant, it’s not the worst because you’re buying time which is what you want to do while you set up Energy Flux. Deathrite Shaman is really essential to the strategy. It gives you a good turn-one play; it has built-in graveyard hate which is relevant in game-one against Dredge. You can keep a hand with a Deathrite Shaman, a mana source, and a Wasteland to kill their Bazaar of Baghdad and eat a Dredger out of their graveyard. Joe: “Dredge can be very fast, so I’m also bringing in the Yixlid Jailer, four copies of Leyline of the Void, and two Grafdigger’s Cages. The Leylines are very important. It gets under Unmask, and with the Sun Titan–Fatestitcher type of Dredge deck, on the draw you could already be dead with a turn-one hate piece in your hand. On the play, a Grafdigger’s Cage might be all you need as long as you have some pressure to follow it up. Joe: “Well, Energy Flux is probably the best card in the format against a Workshop deck. I was playing two and went up to three. The whole post-board game-plan against Shops is to assemble an Energy Flux. You can use Abrupt Decay and Fatal Push to buy some time to assemble it. It’s tough for a Shops deck to beat Energy Flux since their best land, Mishra’s Workshop, doesn’t tap to pay upkeep costs. I’m also playing five Stripmine effects and often not even attacking their Workshops. It is often better to instead go after their Ancient Tombs and Mishra’s Factories to keep them from paying their upkeep costs.